CD reviews: "El Arte del Sabor," "Fantsia Cubana," "Encantado" and "La Diosa del Mar"
There is quite simply no family in the United States to compare to la familia Valdés de Havana. You'd have to combine the Jackson and Marsalis clans, along with country's Carters and gospel's Staples, to come close to the importance the Valdés family has played in Cuban music. Bebo Valdés, now well into his 80s, was musical director of the Tropicana nightclub in Havana in the 1940s. The Tropicana was to Cuban big band dance and jazz bands what the Cotton Club was to its U.S. counterparts  only more so. Bebo was right there in the middle of this incredible explosion of Cuban musical creativity  composing, arranging, sitting in on piano, recording. He was a giant even then. Then Castro came along, Bebo wasn't willing to go along, and so he fled to Sweden  where he lives to this day. His family remained behind, however  and son Jesús "Chucho" Valdés became, in his absence, the greatest piano player in Cuba. He founded the famed Irakere jazz combo (which once included Paquito D'Rivera and Arturo Sandoval, before they joined Bebo in exile), and started his own family. 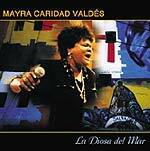 Chucho's sister, Mayra Caridad Valdés, also followed their father's musical heritage  but chose singing rather than the piano. If not as well-known as her brother, she is one of Cuba's best female singers, in the lineage of Celia Cruz and La Lupe. And now yet another generation of Valdés seems ready to carry the family reputation forward: Chuchito, Chucho's son, is stepping out  a pianist like his father and grandfather. As testament to the artistic prowess and virility of the Valdés family, within the last year all four of the above members have released albums. Bebo's came out in the fall of 2001, followed in the spring and summer of 2002 by releases from his son, daughter and grandson. Bebo's release may be the most remarkable of the four simply because most octogenarians can't still play piano with the monstrous chops on display here. Combining the minimalist approach of Count Basie or Jay McShann with the virtuosic touch of Oscar Peterson, Art Tatum or the Labeque sisters of France, Bebo can create moments of artistic purity and power and then, in the next moment, he's toying with piano, listeners and any would-be competitors. It's like watching Goya paint, Bernstein conduct, Baryshnikov dance. The man is a creative giant, one of the top handful of pianists to come out of the 20th century. This new album of his, "El Arte del Sabor" ("The Art of Taste") is perfectly titled, for on it Bebo and fellow veterans bassist Israel López "Cachao" and percussionist Carlos "Patato" Valdés (no relation to Bebo) illustrate the kind of classic, classy Cuban music that conquered the world 60-some years ago. The songs are drawn from the canon of Cuban jazz and dance tunes, comprising a short of hall of fame of 20th century Cuban music. It would be as if Count Basie were still with us, and recorded a new album of standards with Ray Brown and Buddy Rich  that's how monumental these three and the songs they chose are. The fact that all three play better now than at any time in their lives can perhaps be explained by medical science, but as listeners, it seems more important to appreciate than comprehend. Chucho's release is probably the most surprising of the bunch. While Chucho's jazz credentials are nearly as impressive as those of his father, on his new release  "Fantásia Cubana"  he goes in a different direction. Namely, classical. Taking tunes by Ravel, Chopin, Debussy and Lecuona, Chucho mixes them in with originals from his own pen, and turns all of it into a Cuban-flavored mix of classical and jazz solo piano. Baring himself on this recording like on no other he has recorded, Chucho has no band to hide behind  it is just him, a piano and a microphone. And he 's not playing jazz or Cuban standards here  but classical compositions, and variations on them. The result is an album that is uniquely intimate in Chucho's career  even his own compositions (and there are a half-dozen) are brought forth in a different light from his usual arrangements. Which is no way implies that this recording isn't every bit as creative and powerful as his others  in fact, what makes it different may make it even more powerful, more creative. As longtime classical producer Max Wilcox points out in his liner notes, there were no scores present at the two sessions that birthed this album  every note was in Chucho's head. And even on the pieces by Chopin and Debussy and Ravel, Chucho is improvising, arranging on the fly, putting his own stamp on each song. It is a remarkable performance, and one that will stand out in his career forever. He's surrounded himself with a good, young band, too. The four-part percussion unit is particularly outstanding. And Chuchito shows the family touch when it comes to composing, too, contributing a handful of original songs to his first outing. But mostly it comes down to his piano  and whether it's matching his granddaddy stride for stride or paying homage to Coltrane on "Giant Steps," Chuchito shows that the family name is in good hands for some years to come. While her father, brother and nephew's latest releases are all wonderful listens, Mayra's may be the most rewarding of them all. Practically unknown in the states. she is the equal of Cuba's greatest female singers  as well as any stateside jazz vocalists. Her rich, husky voice has both range and power; her interpretative abilities are as good as any in her family. On the second cut, her brother's composition "Mambo Influenciado," Mayra scats her way through a complex structure and holds her own against even Miss Ella or Sarah Vaughan. The woman's got some chops in that throat of hers. The material is mostly Afro-Cuban jazz, with a cover of Charlie Parker's "Billie's Bounce" thrown in  where she again scats as well as anyone, improvising better than most guys with horns can even dream.